Suicide bombers suspected of being from the Islamic State group stormed the headquarters of Libya's National Oil Company on Monday and killed at least two people, officials said. An oil company official, who asked not to be named, said masked gunmen had exchanged fire with guards and attacked the NOC's headquarters in the capital Tripoli. The UN denounced what it called a "terrorist" attack, the latest to target Libya's vital oil sector amid the chaos that has gripped the North African country since the 2011 uprising that toppled late dictator Moamer Kadhafi. Witnesses also spoke of hearing a blast and gunfire before security forces rapidly surrounded the headquarters and firefighters and rescuers arrived on the scene. Two people were killed and 10 wounded in the attack, said the health ministry. Security forces evacuated the NOC's chairman Mustafa Sanallah and other staff from the building, whose upper windows were damaged from the reported explosions. Sanallah told the Libya 218 news channel that staff members had been killed and others wounded, some of whom were in a "serious condition". Ahmed Ben Salem, a spokesman for the Deterrence Force, a militia that operates as Tripoli's police force, said the remains of two "suicide bombers" were found inside the building. They were discovered on the second and third floors, he said, while identifying the two people killed in the assault as security guards. Pictures of the purported remains were posted on the Force's Facebook page. Tripoli security chief Salah al-Semoui blamed the Islamic State group for the attack, although there was no immediate claim of responsibility. The UN Support Mission in Libya (UNSMIL) denounced a "cowardly terrorist attack", calling it in a statement a "blow against Libyans everywhere". UNSMIL urged Libyans "to desist from futile side conflicts and come together, in partnership with the international community, to eradicate the scourge of terrorism across the country". It was referring to clashes between August 27 and September 4 among armed groups in Tripoli that left at least 63 people dead before a fragile UN-backed ceasefire took hold. 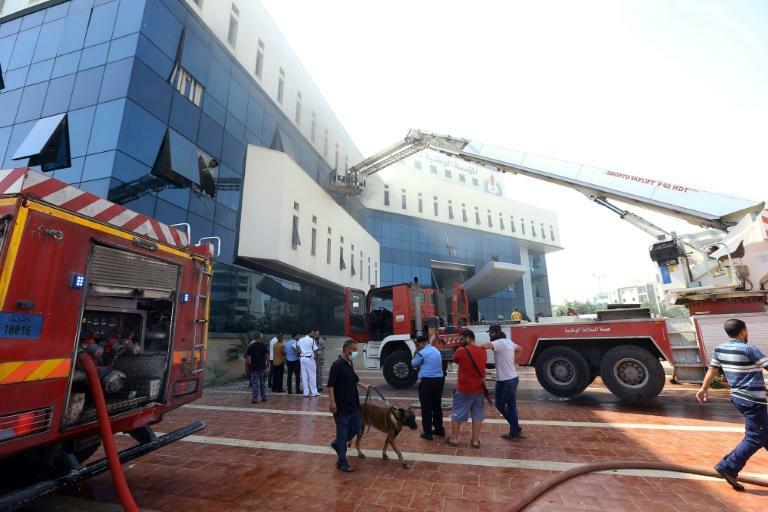 The targeting of the NOC offices comes four months after suicide bombers struck the headquarters of Libya's electoral commission, killing 14 in an attack claimed by IS. The jihadists overran Sirte, Kadhafi's hometown, 600 kilometres (370 miles) east of Tripoli, in 2015. They were ousted by government forces and allied militias in December 2016, but have continued to carry out attacks. 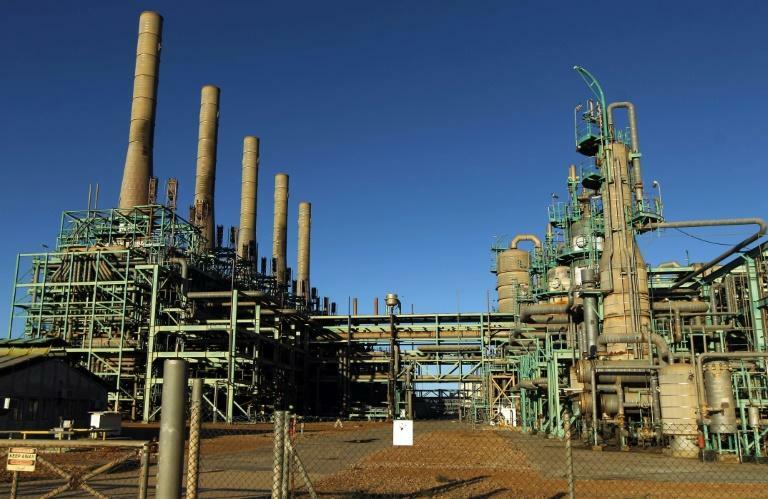 Libya's oil sector has been repeatedly disrupted by violence since the 2011 NATO-backed rebellion that toppled and killed Kadhafi, as two rival governments and a range of armed groups struggle for control of the country's resources. The NOC was forced to suspend exports from all four of the country's key eastern terminals after military strongman Khalifa Haftar's self-styled Libyan National Army regained full control of the region from a rival militia in June. The company declared force majeure on oil loadings at the ports, a legal measure that frees parties to a contract from their obligations due to circumstances beyond their control. But in July the NOC announced production would resume at the ports of Al-Hariga, Zweitina, Ras Lanuf and Al-Sidra, which are conduits for much of the country's crude and gas sales. Last week, the NOC announced plans aimed at boosting oil revenues by 80 percent to $23 billion, compared with $13 billion in 2017.